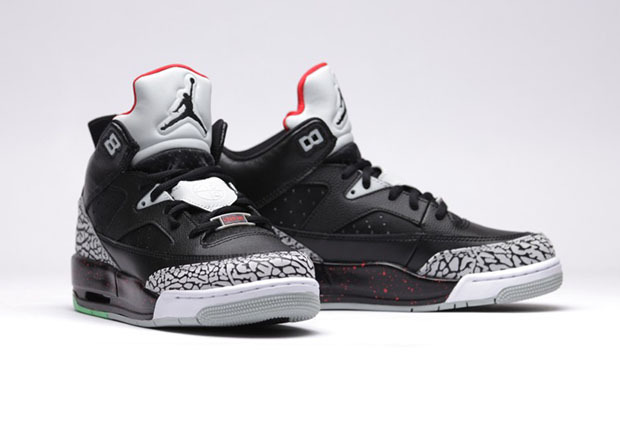 Compare the men’s “Black/Cement” colorway of the Jordan Son of Mars Low closely with the children’s version, and you should notice one small difference. Need a hint? 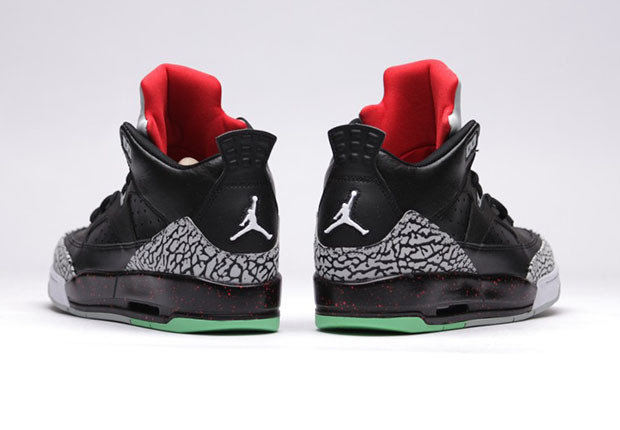 Look at the sole. 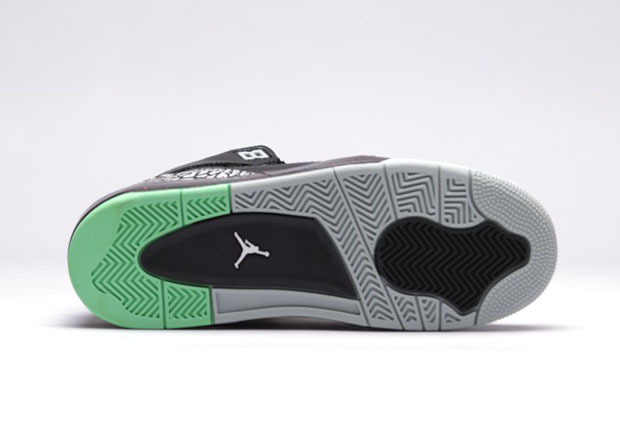 That’s right, the GS version—for reasons unbeknownst to us—adds a green section to the outsole’s heel. 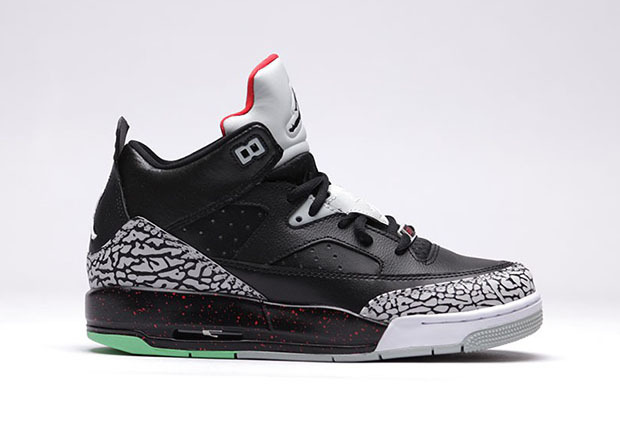 Otherwise, the shoe remains the same as the adult sizing, featuring the iconic Air Jordan 3 colorway. 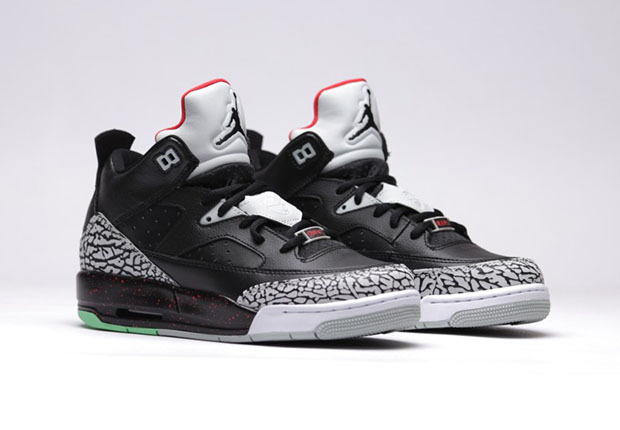 Both men’s and kid’s sizing of this latest Son Of Mars Low can be found at select Jordan Brand retailers globally right now.